Often in doing the sometimes-minor research I do on the books I find, the only thing I can uncover about them is a short, ages-old Kirkus review... and boy do they have some bite. Case in point, give this one a read. 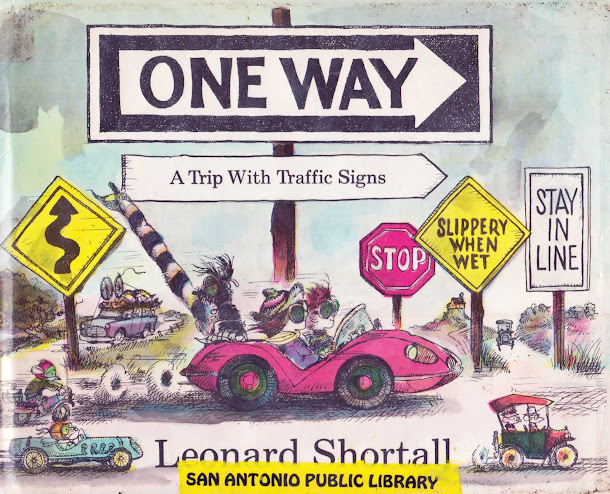 Shortall introduces STOP, SLIPPERY WHEN WET, NARROW BRIDGE and other traffic signs with rhymed couplets that manage to be both as fiat as that failing tire toward the end and as bumpy as the dirt road he takes us over on DETOUR. 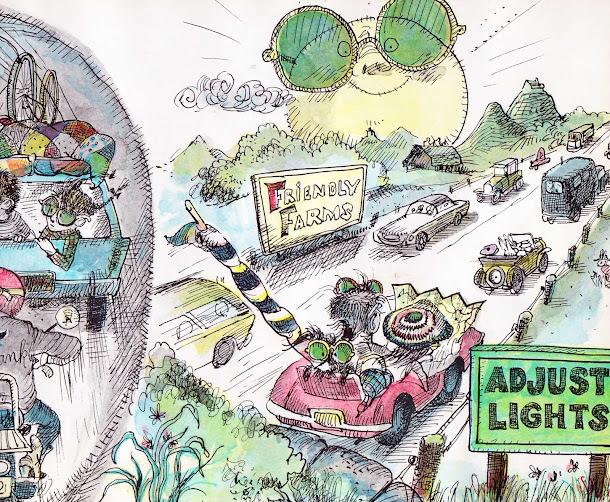 The scribbly pages are crowded with animals, vehicles, advertisements and structures encountered by a two-car party off on a Fourth-of-July outing, but as Shortall's diversionary touches are on the level of putting sun glasses on the sun and depicting the students at the SCHOOL CROSSING as bears on roller skates, an attempt to pass this off as anything more than a lesson could land you at a DEAD END. Ouch. 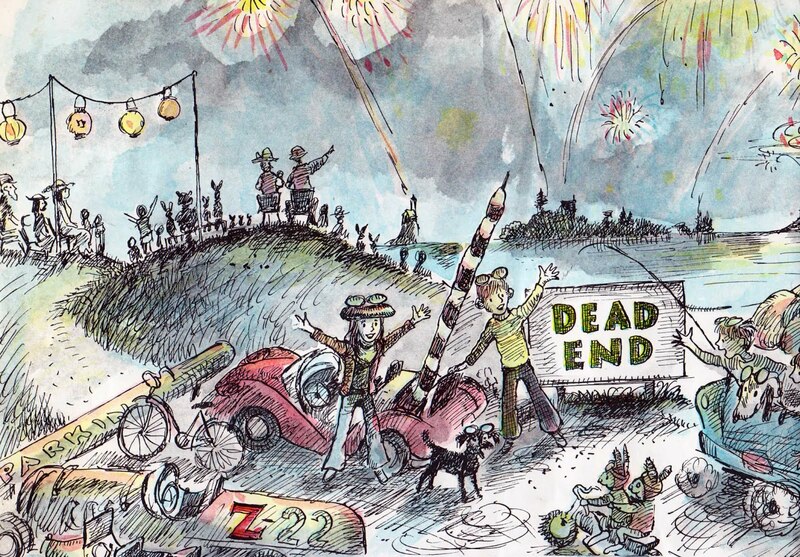 Granted, in this aptly-timed July 4th extravaganza, the rhymes aren't the best, but I do dig the pictures. Based on the fact that you have to pay well-above the full cover price for a used copy online, I'm betting other kids dug it back in the day. This is one reason I don't have a traditional book blog. I have no desire to talk about books I don't love (or at least find culturally significant or amusing). It would stink to have to be critical all the time. As far as I'm concerned, anyone who takes the time to make something out of nothing is OK in my book.... and besides, I love his "scribbly". I've never seen sunglasses on the sun so hilariously rendered. I 'll bet that reviewer must have been having a crummy day. I wonder what he would've said about I Read Signs? I snagged a copy of this at a recent library booksale and it is a definite hit with my 4 year old daughter. 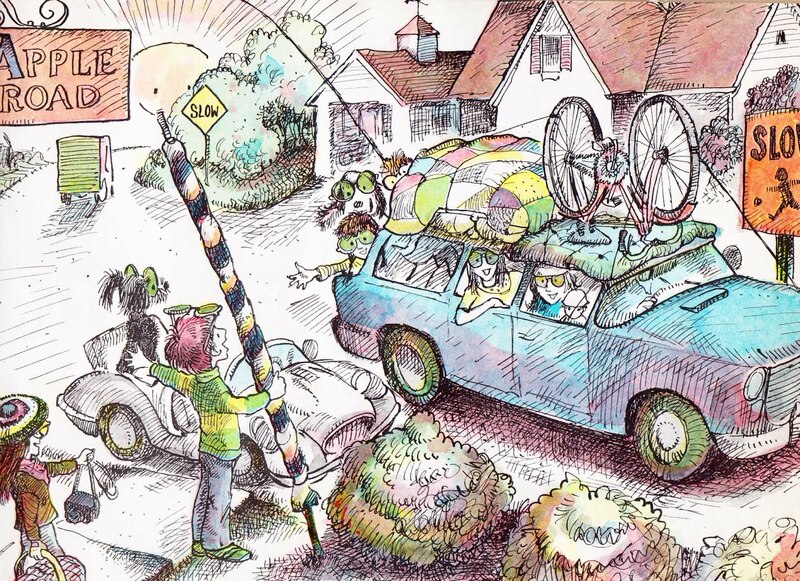 It didn't go over that well when we read it; what she loves are the illustrations. There is so much to look at on the pages, it allows her to make up stories of her own since she is not quite there yet on reading to herself. Have you read Leonard Shortall's Little Toad to the Rescue? Definitely to be recommended. 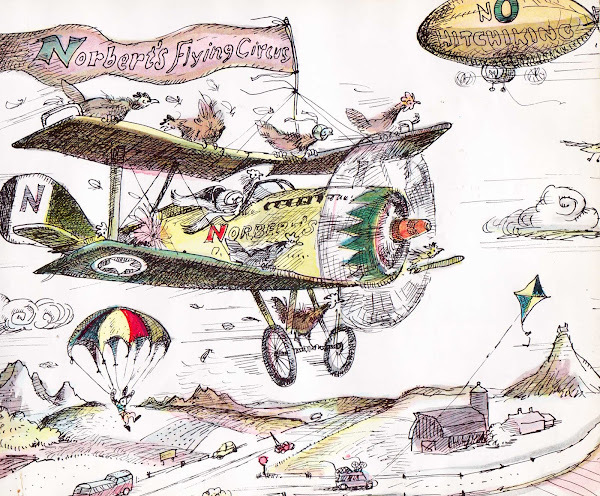 His take on garden insects is fabulous (I mean, what's not love about a grumpy woolly bear caterpillar wearing a propeller beanie?). Fun stuff.